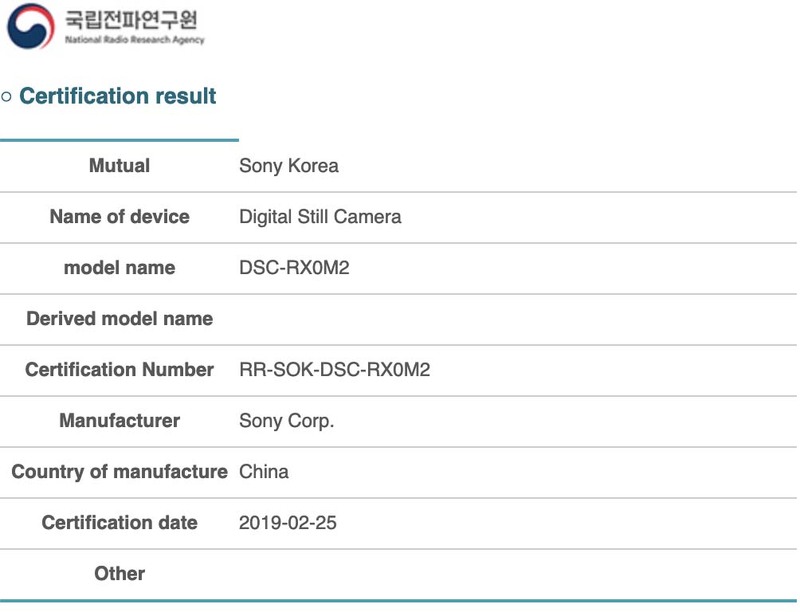 After our previous Sony RX0 Mark II leak, Nokishita has found the camera registered in Korea, so expect an announcement soon. This entry was posted in Patents, Sony RX0 and tagged Sony RXO II, Sony RXO Mark II. Bookmark the permalink. Trackbacks are closed, but you can post a comment.